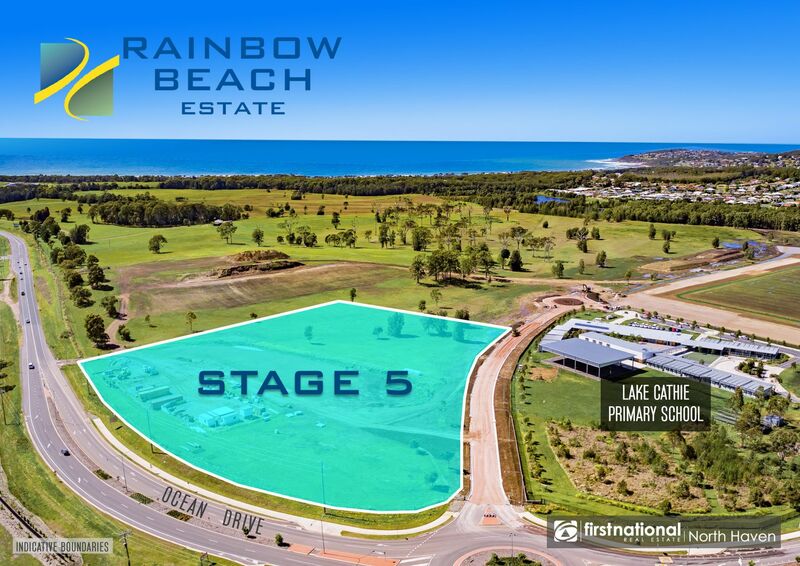 The highly anticipated release of Rainbow Beach Estate – Stage 5 is underway. 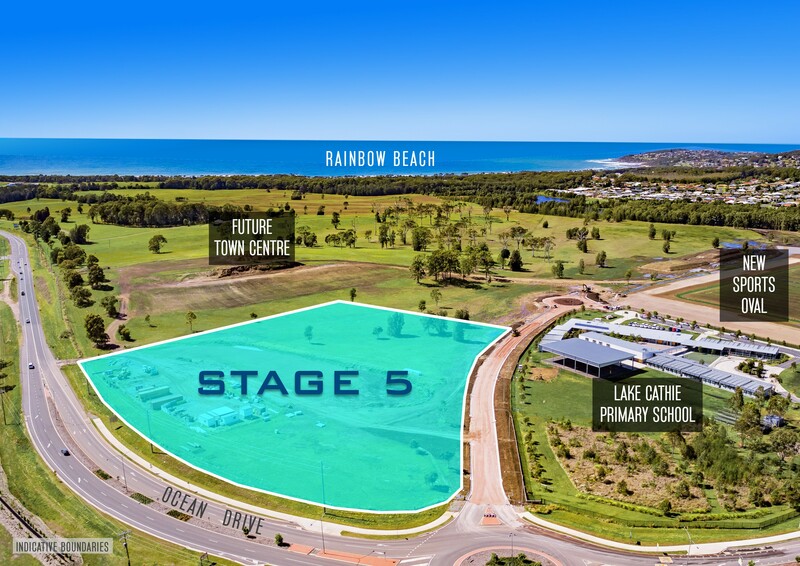 This well positioned 'school precinct' is ideally located right beside the highly regarded Lake Cathie Public School and sporting facilities, while the proposed future town centre is less than 300m from this release. 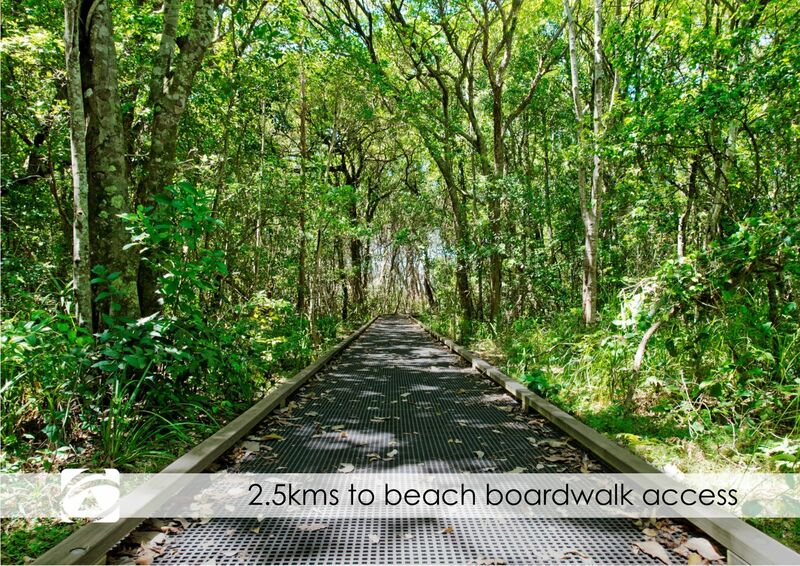 You are also within 3kms of Woolworths shopping complex and the popular Caramels Cafe, world class medical facilities, the calm waters of Lake Cathie and the golden sands of Middle Rock Beach. 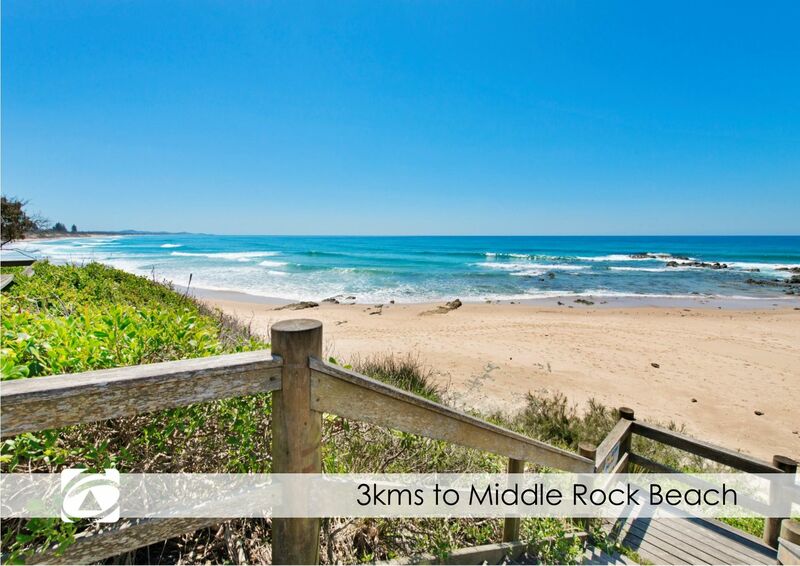 Port Macquarie, with all its amenities, is just a 15 minute drive away. 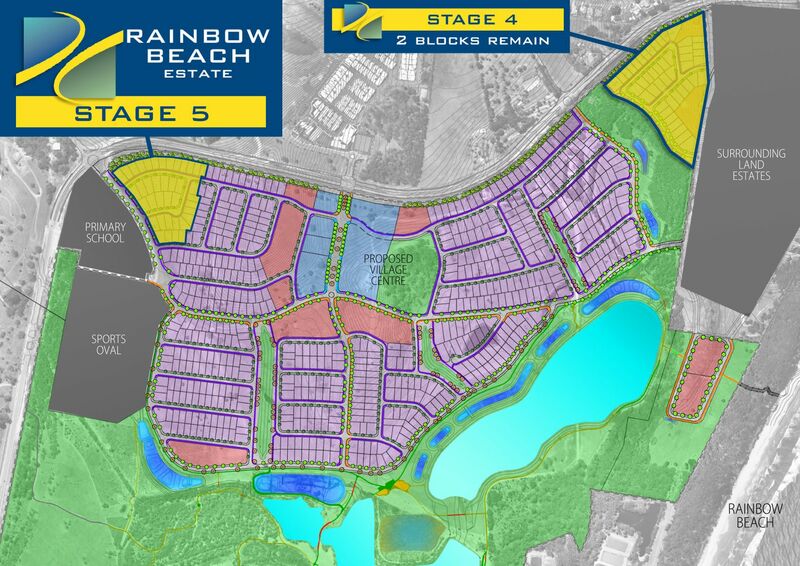 Rainbow Beach Estate is a master planned community, which on completion, will offer premium residential homes, low maintenance medium density living, a central shopping precinct, endless kms of walkways and cycleways, lakeside parklands, local schools and sporting fields all combined with regenerated bushland corridors. Making it the ideal lifestyle address. 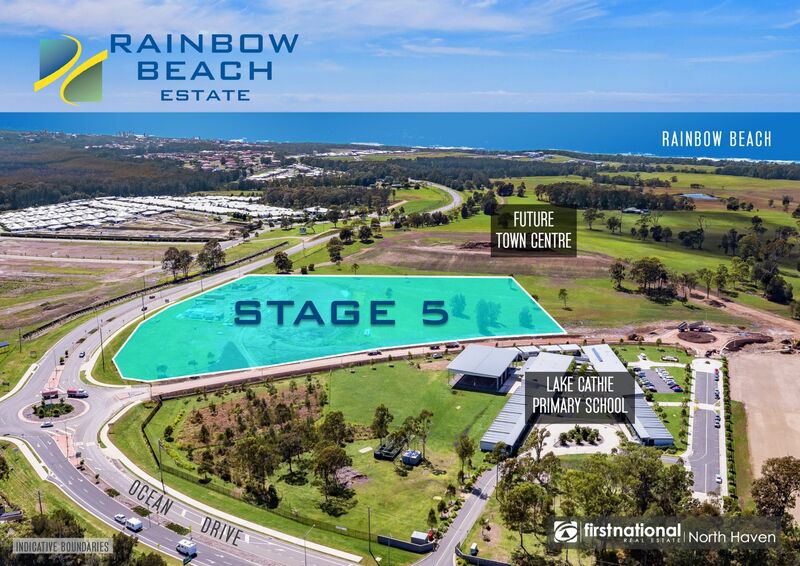 Lake Cathie and Bonny Hills offer thriving cafes, local supermarkets, patrolled beaches, the family friendly waters of the lake, endless mountain bike trails and most importantly a relaxed beachside lifestyle. Construction is soon to commence and with completion expected late 2019, now is the time to secure you’re your position in this premiere estate. 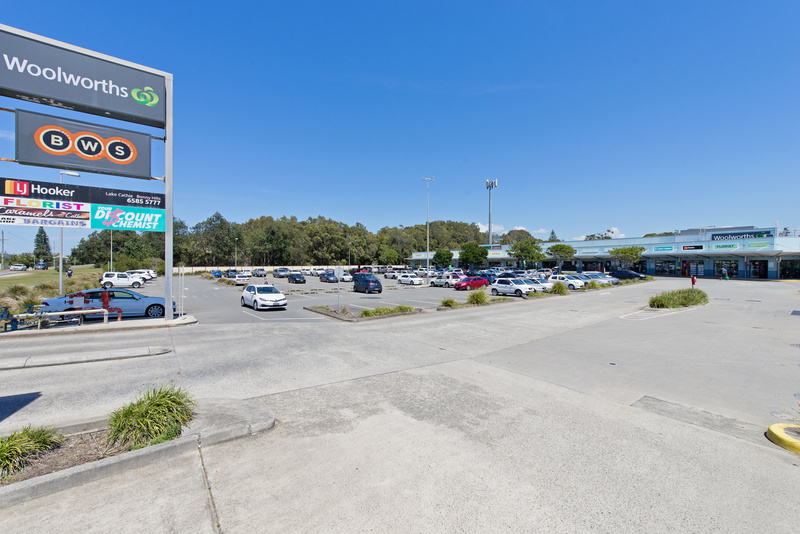 Pictured above: Lake Cathie Woolworths shopping complex and Caramels Cafe just 3.5km away. 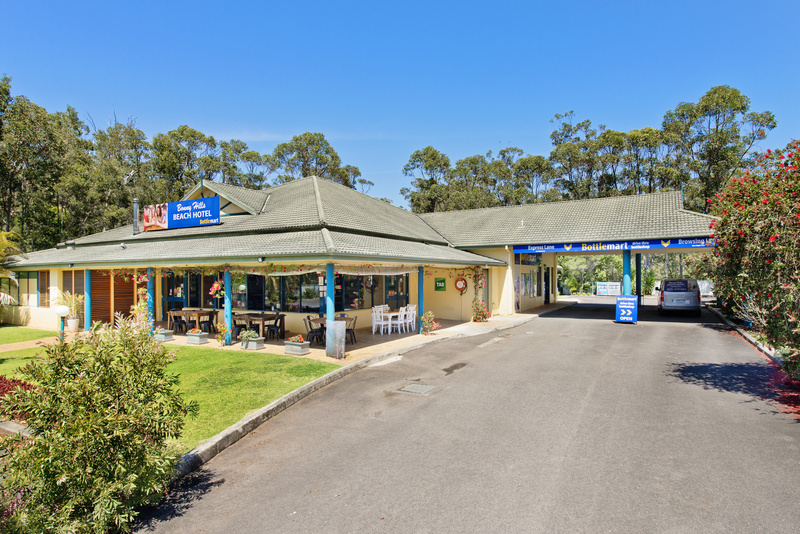 Pictured above: Bonny Hills Taven just 7km away and Bonny Hills Wauchope Surf Life Saving Club & Cafe just 8km away. 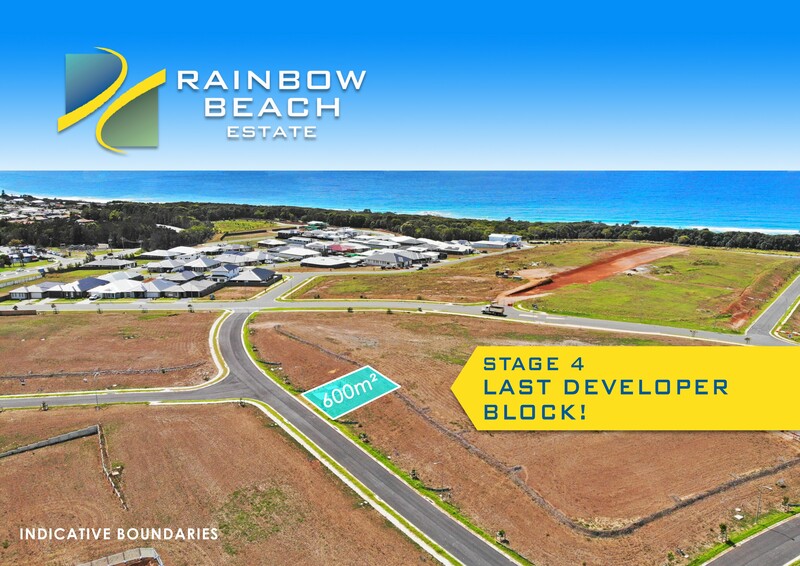 Rainbow Beach Estate Stage 4 - Only 1 Block Left! 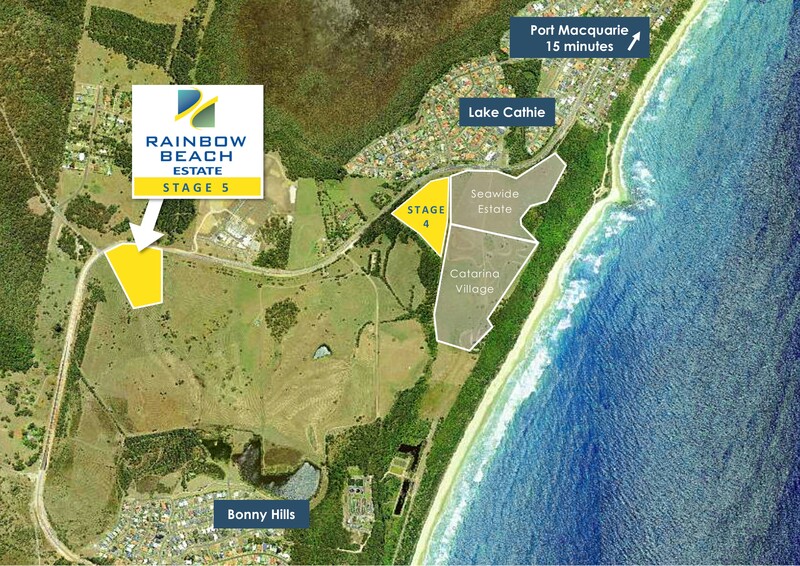 If you are looking to build, close to the beach in Lake Cathie, then this is the best value block you will find. 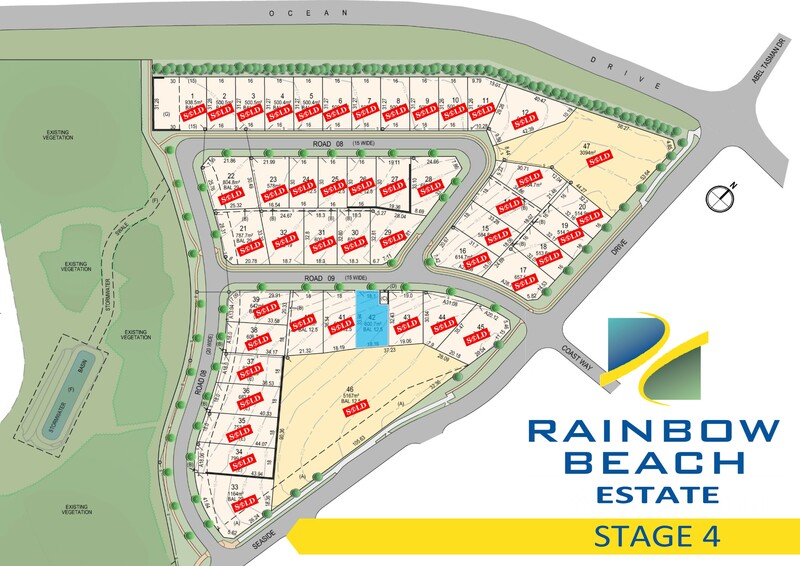 It is the last remaining block in the Stage 4 of Rainbow Beach Estate and at a price of just $260,000 it is great buying! 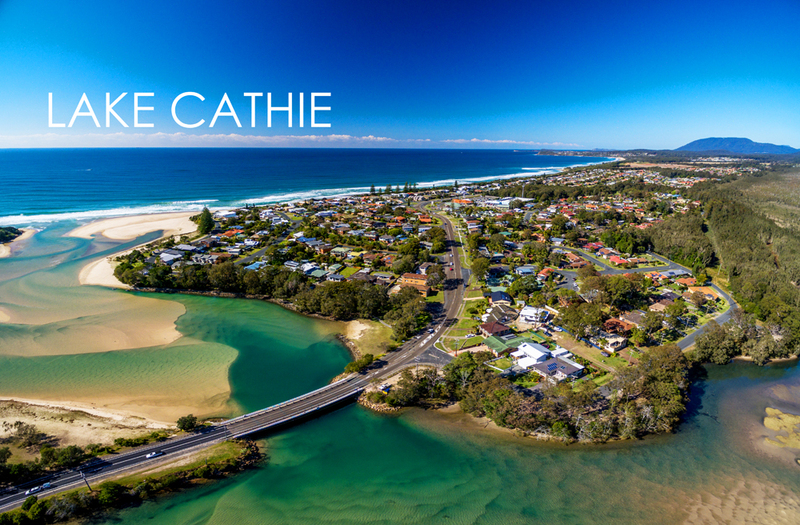 Just 15-minutes' drive from the vibrant heart of Port Macquarie lies Lake Cathie, a quiet village reflecting the calm of the lake from which it draws its name. 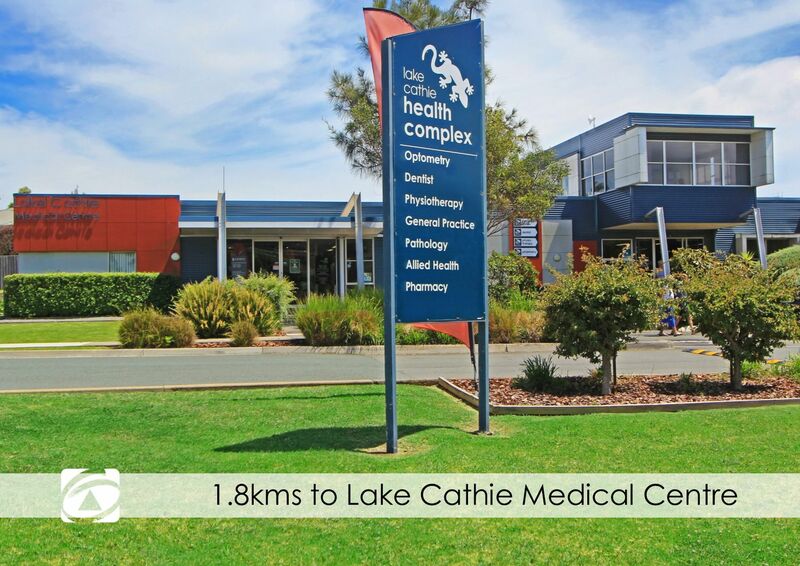 Most homes in Lake Cathie sit on level land within walking distance or a very short drive from the lake, beach, wetland walks, shopping centre, winery, sports fields, playground, school, and cafes. 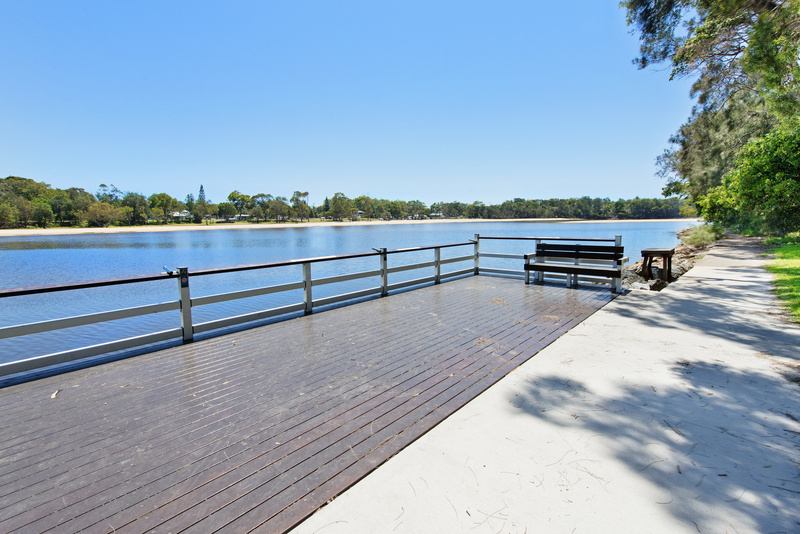 The community of Lake Cathie is a mix of families and retirees who enjoy an active lifestyle. The lake is a popular place for stand-up paddle-boarding, yoga, picnics, boating and fishing. For surfers, the local break is Middle Rock. More land releases are in the pipeline, so the right time to find out more about Lake Cathie is now. Lake Cathie (pronounced 'cat-eye') sits on the Mid North Coast of New South Wales between Bonny Hills and Port Macquarie. The size of Lake Cathie is approximately 15 square kilometers and hugs the Pacific Ocean. The town is a popular holiday destination on the Mid North Coast because of its tranquil location which hosts the lake, lagoon and beaches. 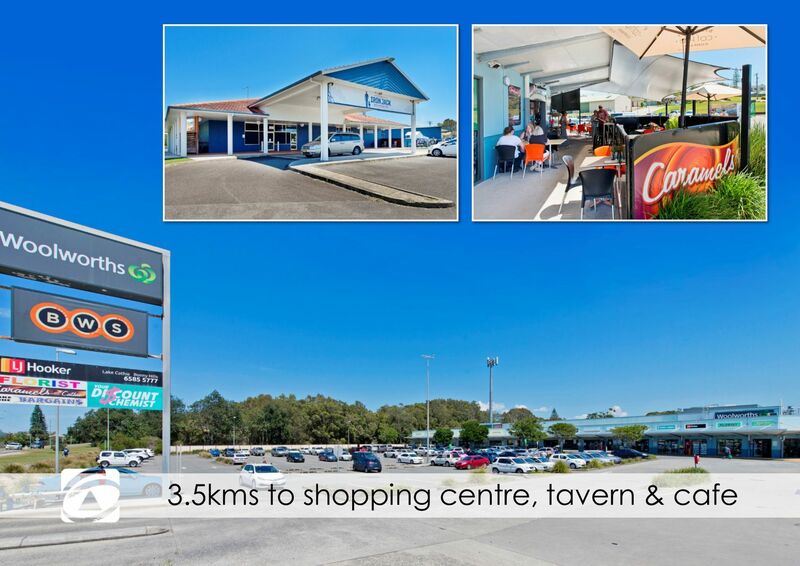 It has a Woolworths supermarket, local tavern, Lake Cathie Bowling Club, bakery, fish & chip shop, coffee shop, pharmacy, post office, a newsagent, hairdresser and a bargain shop. Its main feature is a tidal lake fed by the ocean daily. Several time throughout the year the lake is closed over by shifting sands and becomes dark in colour due to the tannins in local flora. Tourism centres on the lake as it is a popular swimming and fishing spot all year round especially when the lake is open. 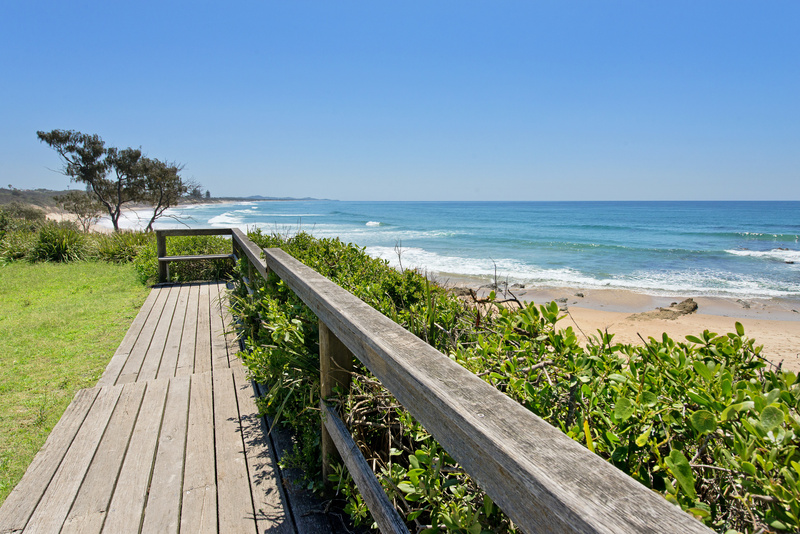 Port Macquarie is a 30 minute drive north with all the essential services including a regional airport serviced by Qantas Link and Virgin with direct flights to Sydney and Brisbane. 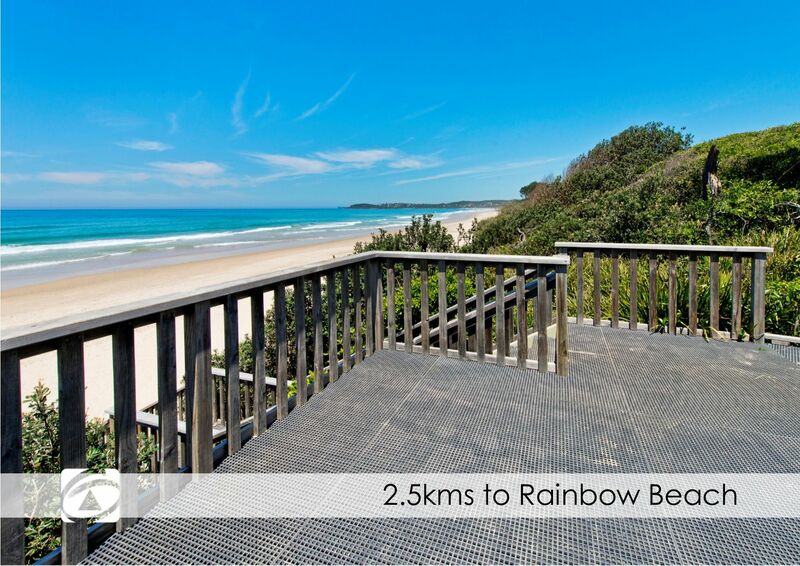 The Pacific Highway is 5 minutes west with an easy 4.5 hour drive to Sydney. 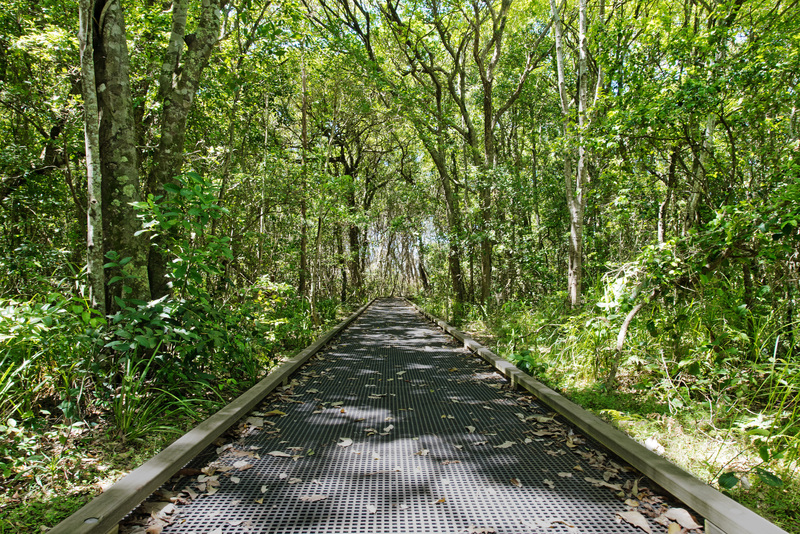 The beach-side village of Bonny Hills is home to young families, professionals and retirees with one thing in common – a love for the coastal lifestyle. Every home is a five-minute drive, or less, from the beach. 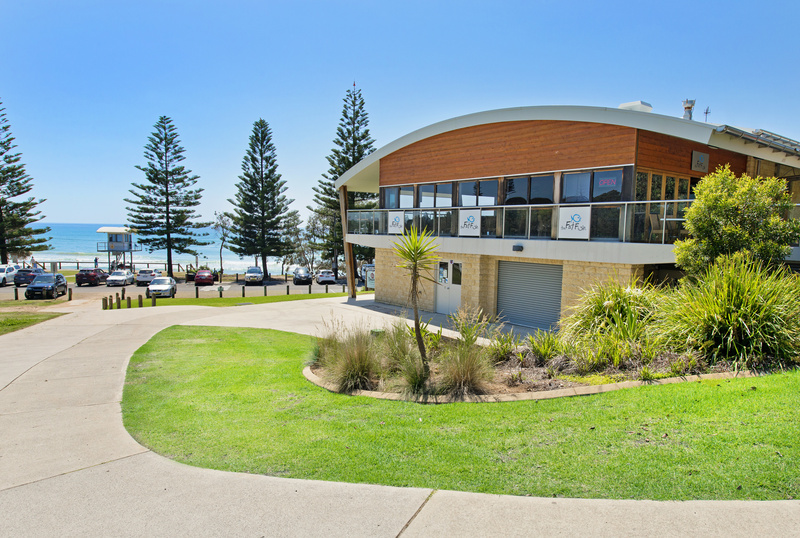 The surf club is the heart of the community watching over beautiful Rainbow Beach. 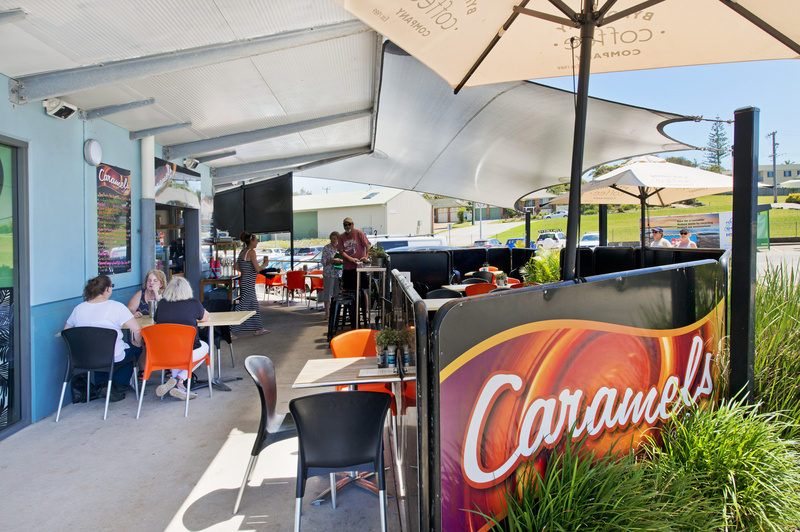 There is a small retail centre, great cafes, and Bonny Hills Beach Hotel is the popular entertainment spot. 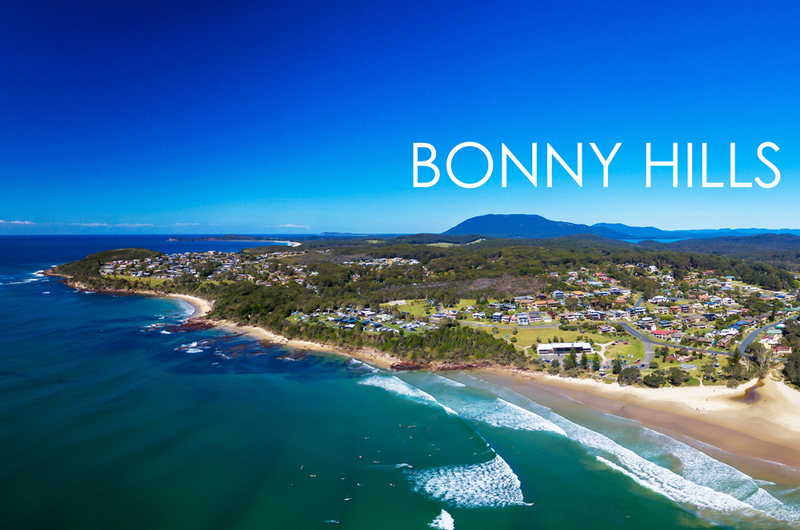 Bonny Hills is a 20-minute drive from the major regional city of Port Macquarie where a huge variety of shopping, specialist medical services, fine dining and major entertainment venues offer every city convenience. Family homes in beautiful Bonny Hills are a mix of brand new, modern, renovated or established properties. New housing areas nearby also offer house and land packages. As beachside properties become increasingly rare, buying a home in Bonny Hills is a sound investment not only for a relaxed lifestyle but for your wealth portfolio into the future. 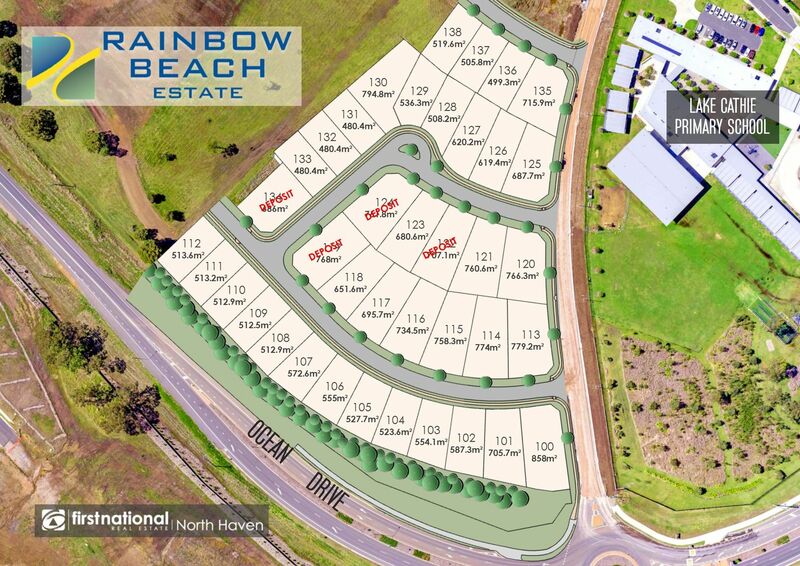 A $1,000 holding deposit paid to First National North Haven will register your interest on the block of your choice. Please contact First National North Haven on 6559 7007 to obtain sales trust account details. Alternatively, cheques are accepted. Sales Advice - Your offer is accepted and your agent forwards all paperwork to solicitors and exchange of contracts is arranged. This may take some time and can be a drawn out process to finalise the sale. You will need to push along your legal practitioner so that momentum continues. Sign the contract with your agent using an office standard cooling off period. Both contracts are signed off by all legal parties. The property is then officially off the market. A pre-approval of finance from your bank or lending institution needs to be in place before safely proceeding with your property purchase, however many banks will approve you in principle yet may require a valuation. Don't be alarmed if your bank or lending institution request a valuation by a registered property valuer. This is normal practice of lending institutions, and serves as confirmation of the agreed sale price. Step 5 - Don't forget to include Stamp Duty funds in your final numbers! You may be eligible for the NSW Home Builders Bonus, which may entitle you to a $5,000 discount! Preparation is the key. Understanding the steps of sale and having everything in place is imperative to reaching your property goals. Whether you are considering purchasing this property or another in the near future, please feel free to contact myself or any of our team with questions that you may have. And remember, we are always available to assist you. I’ve lived in the Camden Haven since 1980 and, to me, you can’t beat the lifestyle and the friendliness of the community. I’ve worked in sales since leaving school. My hobby was building and selling homes, so it was a natural progression to move into real estate full-time when the opportunity arose. Nola and I, before buying First National North Haven seven years ago, built and sold more than 15 homes. We understand what’s involved in the whole, sometimes emotional, process from the perspective of the buyer and vendor whether building, buying, selling or renting. The best reward is when people stop and have a chat with you after you’ve done business with them. Our success is built on relationships. Our referral business is strong and something to be proud of. We attract great people to work with us who bring varied skills. Their work ethic is balanced with a sense of fun which fits with our culture and vision for the future. It’s an award-winning team but those trophies don’t define what we do and why we work here. Each of our team members bring their expertise to create the professional, friendly experience we want our clients to have, time and time again, when they walk through our front door. With technology rapidly changing the landscape for all businesses, what’s not changing for us is personal communication with our clients and just simply doing the right thing. We may use drones and all sorts of digital tools to market your property and reach our buyers, but the fundamentals of doing a job honestly, and having hands-on know-how of the industry is something you can’t buy. It’s already here at First National North Haven. My wife, Kasey and I made the move to the Camden Haven late 2017 with our three children. I was offered an opportunity to live in a coastal community and partner with a like-minded business team at First National North Haven. I was running my own agency in my hometown of Wagga Wagga at the time, and our family needed a change of climate. Joining the team at North Haven has been a welcoming experience. It’s great to work with a group of professionals who are focused on building ongoing relationships with clients. I’ve worked in real estate since I was a teenager, helping my dad renovate rental properties and build the family portfolio. I started my agency when I finished university and then joined the First National network. What I love about working in real estate is that it’s not a 9-5 job. It’s an everyday job because you’re always thinking about strategies to do your job better, deliver better results. It’s an industry that’s ever changing and evolving. You’re meeting different people every day and dealing with different situations. Buying, selling or embarking on developments are substantial life milestones and being able to give people information to spark action or results is so rewarding. I grew up in Lorne, just west of Kendall, and Bonny Hills. I came into the office of First National North Haven as a keen 17-year-old looking for a start in real estate. I started in property management in 2014 and have completed a traineeship in sales. The team here is very supportive and encouraging. We enjoy helping each other grow and succeed. The team at First National North Haven is always bouncing ideas off each other and everyone’s input is valued. We’re focused on harnessing new technologies and techniques to deliver the best outcomes for our vendors and buyers, and that effort shows in our sales results. What’s most rewarding is when clients come back because they feel comfortable and trust that we’ll look after them, again and again. Building relationships is what success in any business is all about. I’m pretty active. I like going for a run, a hike up North Brother Mountain, surfing and swimming. There are so many sports you can do here. I’m involved in AFL and coached a team. I’m part of Hastings Rotaract which is Rotary for people aged under 33, and we get out and help at charity events raising money for organisations like headspace. What’s awesome about living and working here is that everyone loves a chat, because they care about each other. 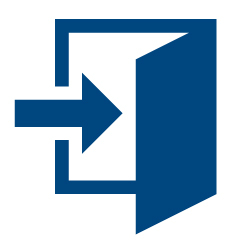 Click below to LIKE and FOLLOW us on social media! 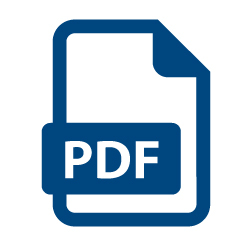 The information included in this eBook has been furnished to us by the Vendor of the property. We have not verified whether or not that information is accurate and have no belief one way or another in its accuracy. We do not accept any responsibility to any person for its accuracy and do no more than pass it on. All interested parties should make and rely upon their own enquiries in order to determine whether or not this information is in fact accurate.